Pete D from COG Magazine makes amazing photos and that’s not excluding product shots. 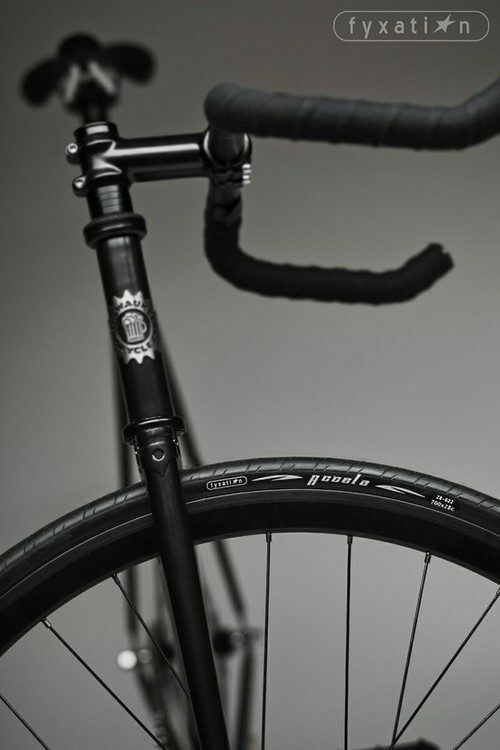 Just check out this murdered out Milwaukee frame, laced with Fyxation’s newest tire, the Accela. I’ve got a pair of them at home but didn’t get the chance to ride them yet. They do look great, especially for the pricepoint. Pick a set up here and see for yourself, or hit up your LBS and support local business.